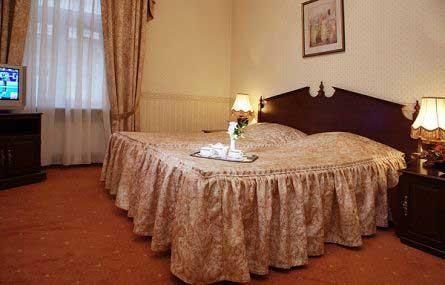 The Budapest Hotel is a traditional three-star hotel located in a neo-classical building that dates back to the 19th century, a short walk from the Kremlin, St. Basil’s Cathedral, and the Russian Parliament. The hotel includes a fitness center, a lobby bar and an Irish-style bar, and a European restaurant. The rooms are decorated in a warm, charming style that reflects the hotel’s history.